For many years I’ve avoided reproductions. The only reason being is that I would really prefer the original. But as time passes some games get hard or impossible to afford. Tetris for the Japanese Mega Drive is a great example of this. It’s rare because Sega had to destroy the copies they produced when they discovered that they didn’t have a valid license to produce Tetris on a home console. It is rumored around the Internet that a few of these copies survived (1o? 20?) and got out into the wild. 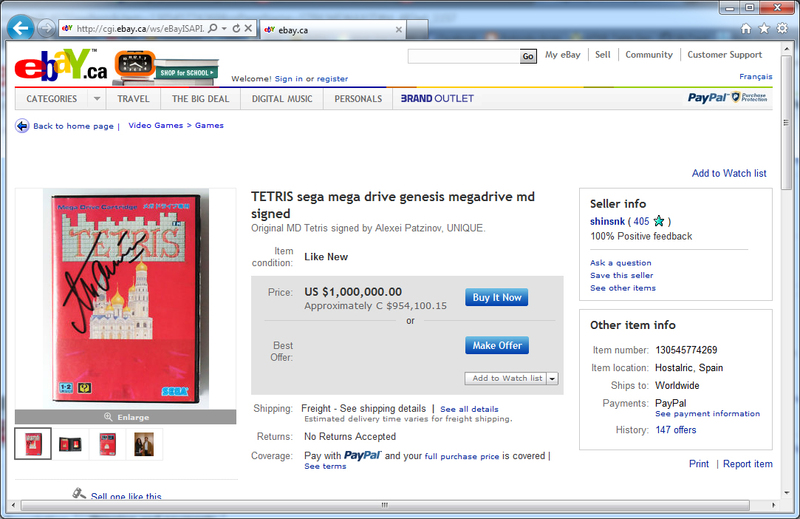 The only time I have ever seen one for sale was on ebay with a a BIN (Buy it Now) price of $1,000,000.00 USD. That’s beyond ridiculous. So for a long time I thought I’d have to make due with the “original bootleg” copy that was released when the Genesis was current. But thanks to Serega I’ve gotten my hands on a reproduction that is near perfect. While browsing to see what else Serega had to offer I quickly realized another giant benefit of reproductions. English translations. 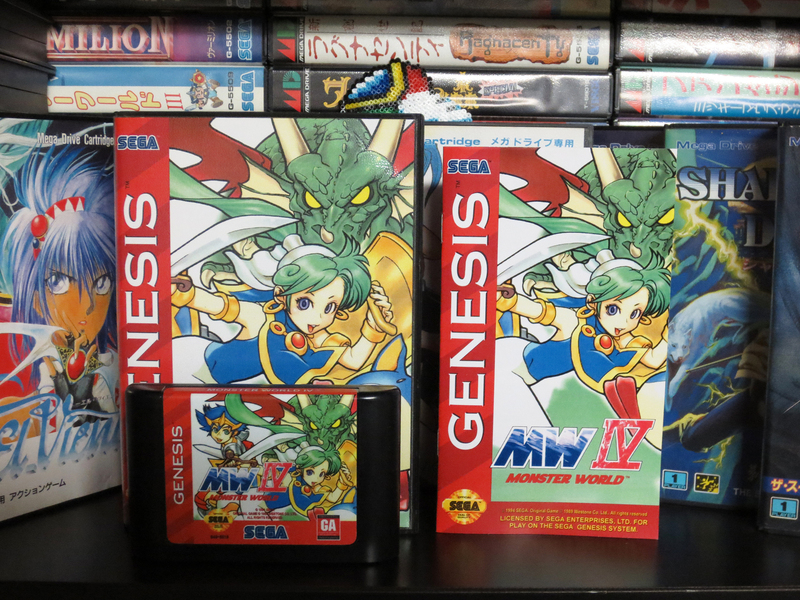 There are many excellent Mega Drive games that never left Japan and where exclusively in Japanese. Now, some of these games have been translated by very talented fans. My thanks to all of you involved! In addition to Tetris I also purchased Monster World IV. Even thought it feels like the amount of language used in Monster World IV is minimal there’s still enough to get you stuck if you can’t read it. Even in English I got stuck a few times! 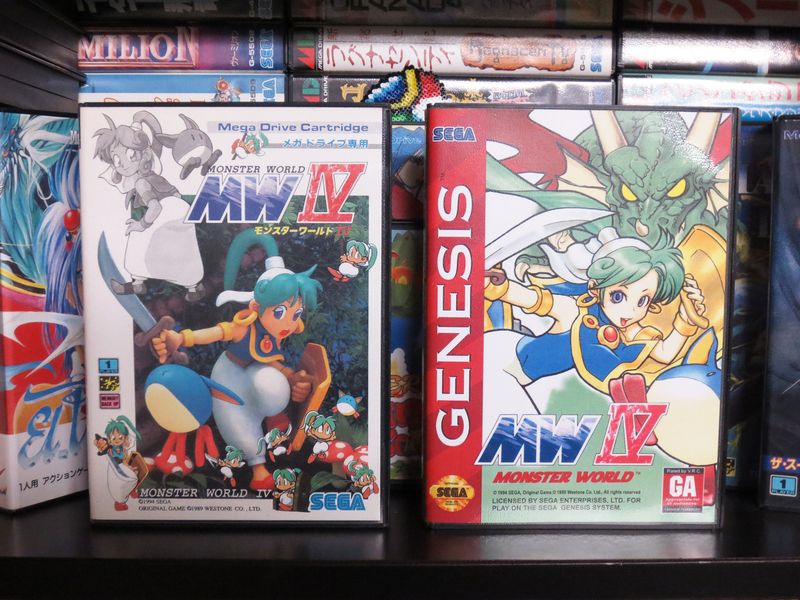 Below are my new copies of Monster World IV and Tetris. The quality of these reproductions is outstanding. 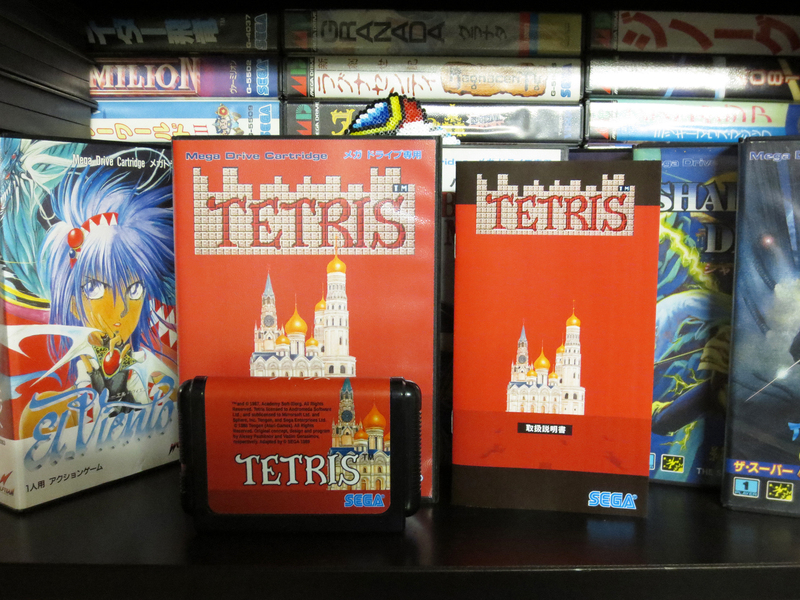 They were not cheap with Monster World IV costing $70 USD and Tetris $60 USD. But because they are complete with Game, Case and Manual I decided to go for it. Honestly I believe I have an idea of the work involved in producing these and I cannot imagine someone doing this for much less. As for the build quality? It’s excellent. I believe everything must have been cut by machine. The cover art sleeve, cartridge label and manual are perfect with straight sharp clean edges. When comparing the materials used for these reproductions to originals it is very hard to find differences. There are some subtleties but nothing worth fussing over. 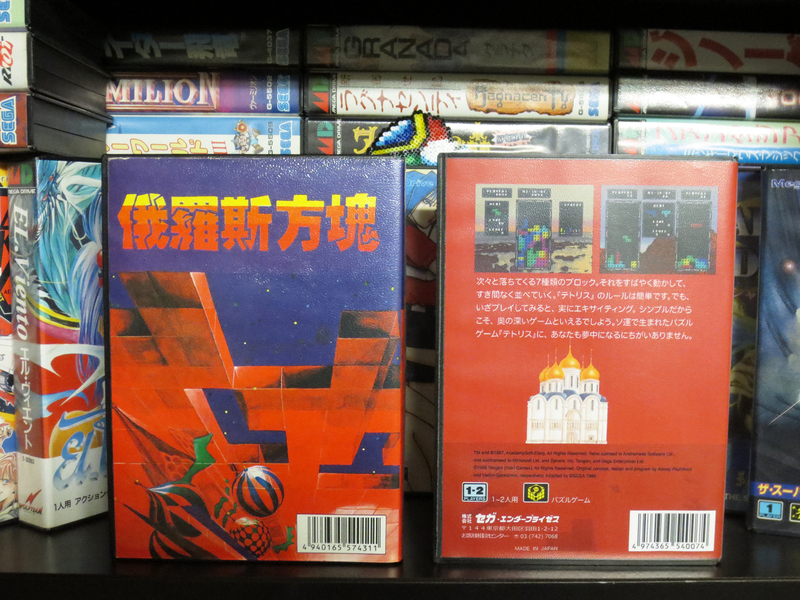 Above is the official Japanese Monster World IV next to the reproduction. 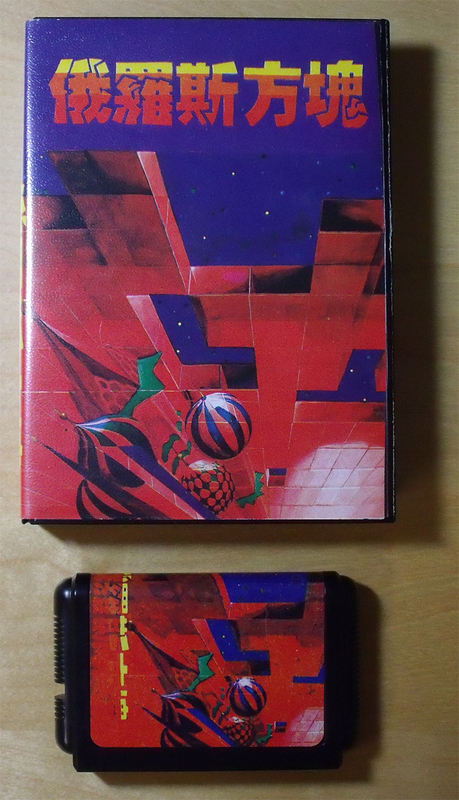 The Reproduction is meant to look like how it might have as a Genesis release. Both are very different but I would say equal in quality and professional design. 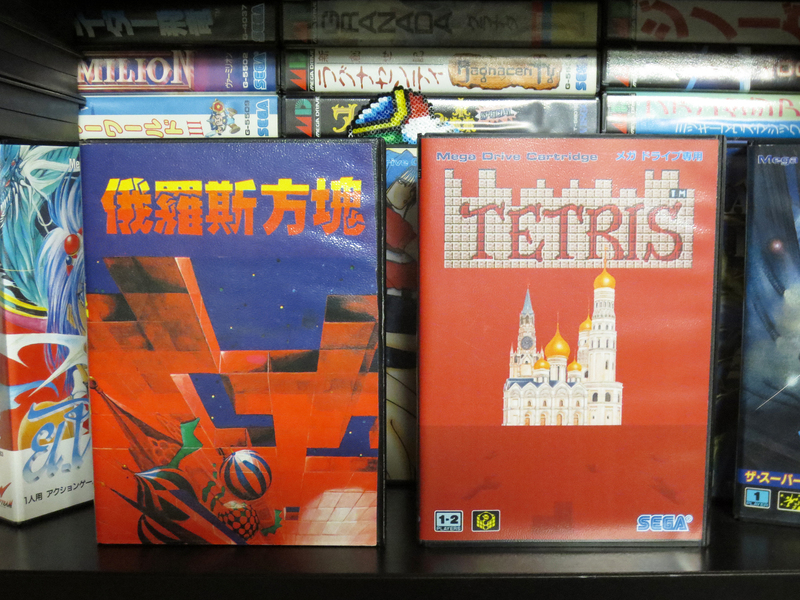 And above is the original Tetris bootleg next to the reproduction. Sure, technically a reproduction is the same as a bootleg but I have no issue with it. I don’t mind if you’re of a different opinion and I’d be happy to hear your thoughts on the topic. Have I played them yet? I sure have! First up is Monster World IV. Wow, what a great game. 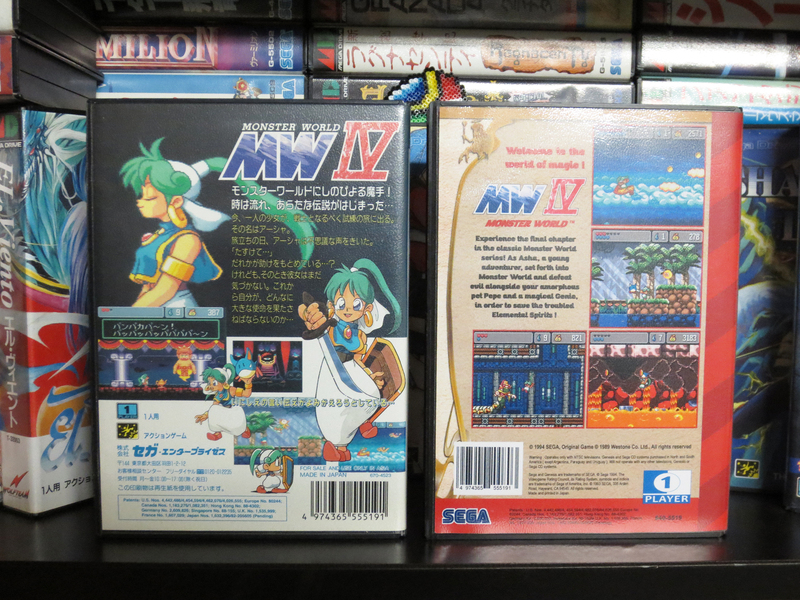 Of all the Wonder Boy games in the series that this game belongs to Monster World IV is most similar to Wonder Boy in Monster World. The graphics and gameplay are amazing. So…. This is my first ‘official’ hour with the game. You’ll find no mastery here 🙂 Just me learning where to go and how to fight. Don’t watch the whole thing. That would be cruel. But if you feel like jumping to the very end you’ll see me trying to use a lava geyser as platform to jump to the next area. I don’t know what I was thinking… I’m still not sure how to get to that next platform! I’m guessing a skillful double jump is required. Next up is Tetris. If you know the game there will be no surprises here. It’s a classic game that will always be fun and the Mega Drive version is a good one. While playing I was happy to notice that I’m still as good now I was 20 years ago! It would appear that age has not yet hindered my video gaming prowess :D. *Please forget the part above about me failing the introduction of Monster World IV. My final thoughts on these reproduction by Serega is that even though I don’t have a reproduction that I can compare to an identical original I do believe that with careful inspection someone would be able to tell the original apart from the reproduction. That being said I’m also going to say that I think Serega has done a fantastic job and if you want a beautiful copy of a ridiculously expensive original or play a game that was never before in English this is your answer. I’m torn on these because it seems that paying for bootlegs is now the new “normal” in retro collecting. One one hand, this company does an INCREDIBLE job with a lot of hard work put into their product. On the other hand… yeah, it’s not a “legal” version of the game. Of course, you have to blame whomever holds those copyrights for not doing anything to prevent this, thus the making, marketing and selling of these things. THAT said, lol, for the money these aren’t actually that expensive because as noted, they DO look incredible. I looked at their page and was happy to see stuff that normally goes for double to many times the price as originals. On the other hand, it’s weird to see these games out at the same time the originals in some cases. In short, I’ll probably buy a few, feel guilty about it for a day and move on to NOT feeling that at all because I can play stuff as it’s meant to be played and not emulated. I share many of the same thoughts. I would much prefer an original game produced by Sega. Wouldn’t it be great if Sega started making their games again on cartridge?! And because I’m not made of money I really do love that there is an alternate for getting many of these hard to get games. I love anything that will help slow (or stop) the sales of insanely priced games. If people stop paying $200-$400 for a single old game then the prices will come back down. I feel 100% about adding a translated reproduction game to my collection because it gives me the ability to play something that I otherwise would not be able to. I’m going to try and be selective about which ones I pick up. Buying just those repros of very expensive games that I’ll actually play. I also have that same version you have 🙂 However, I could not resist getting a version that looks so true to what Sega was trying to release. If nothing else the ‘hack’ version is still cool because it’s from back in the day when the Genesis was current. Both make for nice collectables. Could you scan or take pictures of the English manual for Monster World IV? I was going to translate the manual myself, but it would help to compare to other reference material.